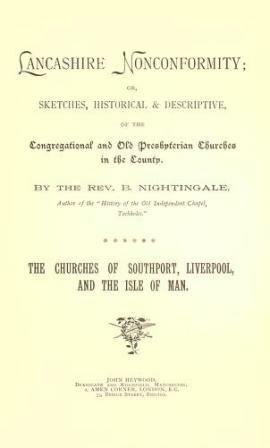 Lancashire nonconformity, or, Sketches, historical & descriptive, of the Congregational and old Presbyterian churches in the county. The Churches of Southport, Liverpool and the Isle of Man. Published by the Rev Benjamin Nightingale.